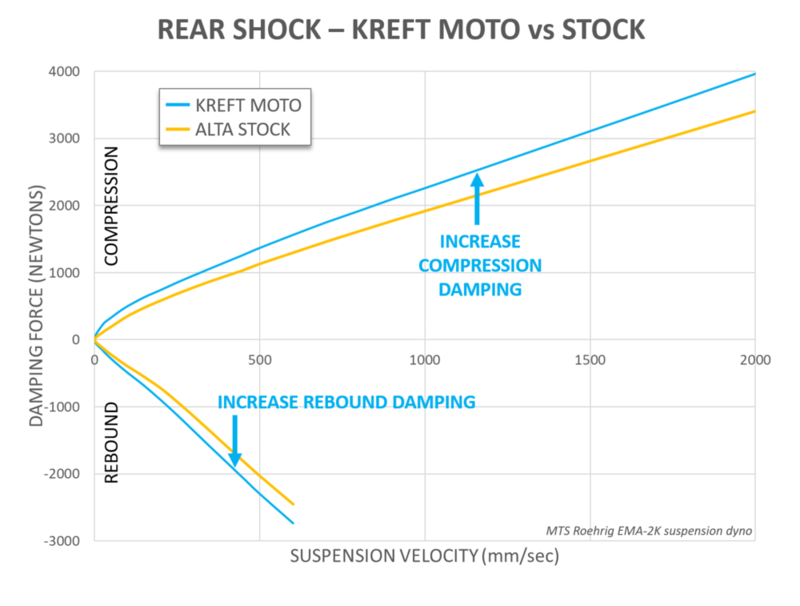 The Alta comes with the same WP suspension components we know from KTM and Husqvarna, so it is a good fit for Kreft Moto services. We wanted to evaluate the stock suspension and see what we could do to improve it. Naturally, we were also just curious to ride it. A summary of our analysis and suspension solutions are below, but if you want to read a more detailed article click HERE. Alta MXR = 262.4 lbs. 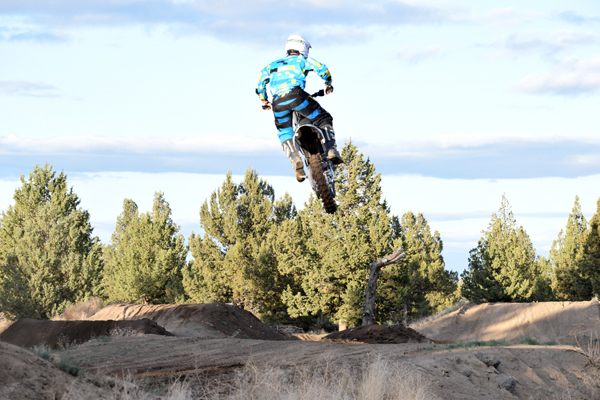 The combination of a stiff spring and soft damping rear tends to kick up and pitch the rider forward on obstacles that tap both wheels in sequence, like whoops and some jump faces.